In this blog, I’d like to write a review about X-ONE BIPHASE. 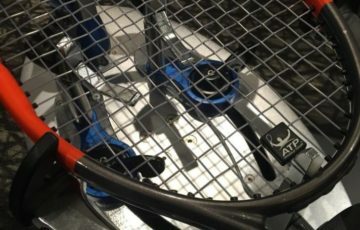 At the end of last year, on December 29th, a customer brought a racket for restringing and gave me a permission to use the picture of the racket. Huge thanks to the customer for his cooperation. I personally think the ball hitting feeling is standing out from this string. This string has nice and soft feeling and restitution. This ball hitting feeling is exactly something Multifilament string is aiming for. And this string will make it happen. Playability duration is also good. 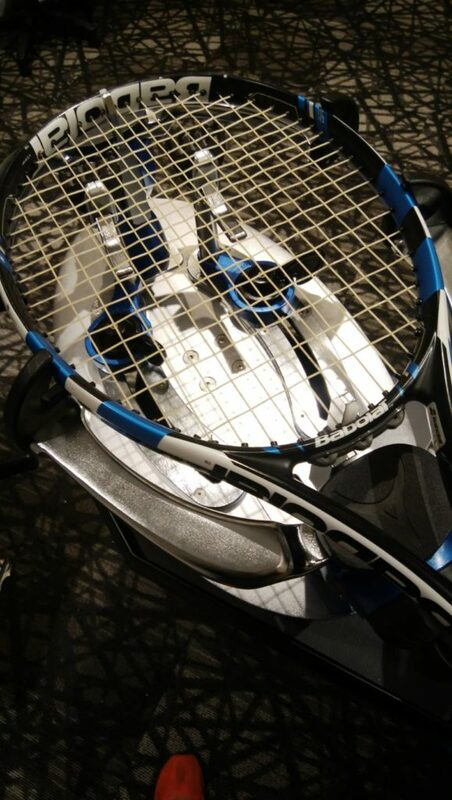 After the restringing, it doesn’t take long until you start feeling like the racket-string is loosened. However once it’s loosened, you won’t feel that it’s getting worse. There is a customer who has intermediate level and plays tennis a few times a week. He usually bring his racket in for restringing once in a month and half so I would say the duration of the racket is about a month and half. 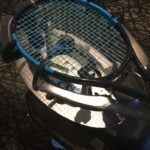 If you don’t like hitting a ball so hard, I would recommend waiting for a few months or even more than 3 months which is general duration of the racket string after the restringing. There are some customers who are actually trying it. So especially for women or players who don’t like hitting a ball so hard, I think the duration of this product will be longer than that. Compared to polyester; when you hit a ball hard, the power of the ball is inferred but as nylon string, this product has enough power for that. The restitution this string has excellent so if you hit a ball with a half of your power, that produces nice speed on the ball. I’d like to share some reviews from the other websites in japan. 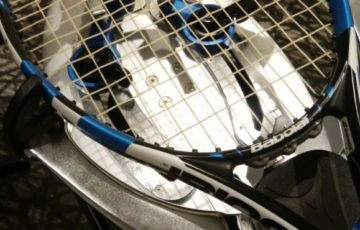 As you can see, some reviews are also pointing out the fact this string gives us nice ball hitting feelings and restitution assistance. This X-ONE BIPHASE is the string I want to recommend to the tennis players who are currently using mono and nylon strings and who are seeking not only soft and comfortable feeling but also the restitution assistance from the racket. To talk about the strings, each of products has different features (e.g. detailed usability) by each multifilament so I would recommend you to use various rackets first. However, in general, multifilament strings has more flexibility is much higher than mono and nylon strings. You can check a review about Multifilament strings from the above if you’re interested. If you’re seeking softer ball hitting feelings, less burden to the body or delicate touch from the strings, why don’t you consider buying this X-ONE BIPHASE? I also recommend all the players who are currently using mono and nylon strings or polyester strings for your racket. 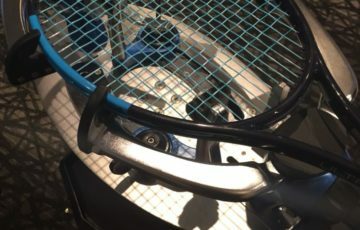 ©Copyright2019 Tennis Shop Repot Japan blog.All Rights Reserved.